Metalectra discalis - Hodges#8499 (Common Fungus Moth). 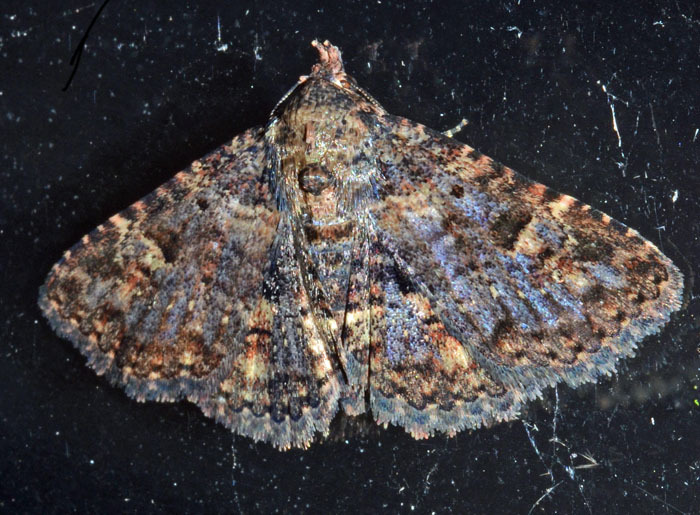 The Common Fungus Moth (Metalectra discalis) prefers deciduous and mixed forests and can be found in most parts of the eastern half of the US. Its larvae feed on dry fungi and give this species its name. Metalectra tantillus - Hodges#8502 (Black Fungus Moth). Size: approx. 20 mm. Photo: 08/06/14, 7 pm. I could have never identified this moth without the help of the experts on bugguide.net. So a random thanks to y'all. 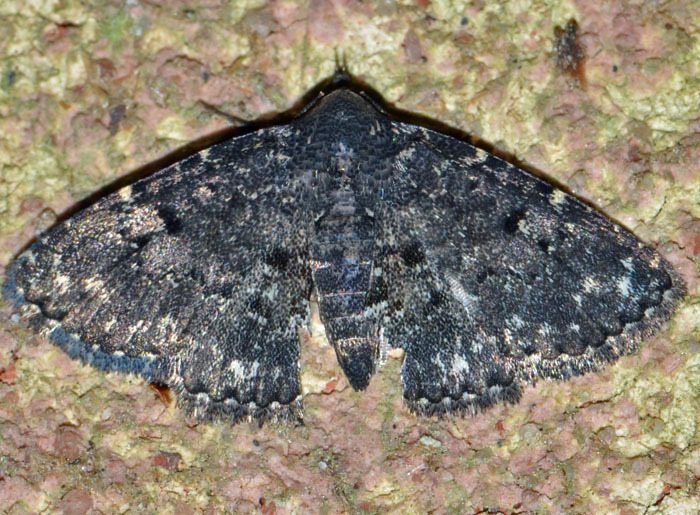 This black fungus moth was waiting for the night underneath my deck. The genus Metalectra has eleven species in the US and Canada.